An acoustic ritual of neo-ancient music recorded at world-famous Skywalker Sound with nearly fifty musicians of diverse ethnic background. Ancient Egyptian, Hebrew and Sumerian texts are brought alive on two CD's. From sunrise to sunset to sunrise again, the recordings move the listener through time, from birth to life to death to rebirth. Unique orchestrations combine Western symphonic instruments with traditional Near Eastern winds, strings and percussion. Highlights include a riveting string quintet set to the Hebrew text of Psalm 104, and a stunning musical interpretation of Akhenaten’s “Hymn to the Sun” in ancient Egyptian. "The Psalms of RA" celebrates the sun as our common ancestor and source of light, while offering a new vision of a spiritual foundation for peace in the Middle East. 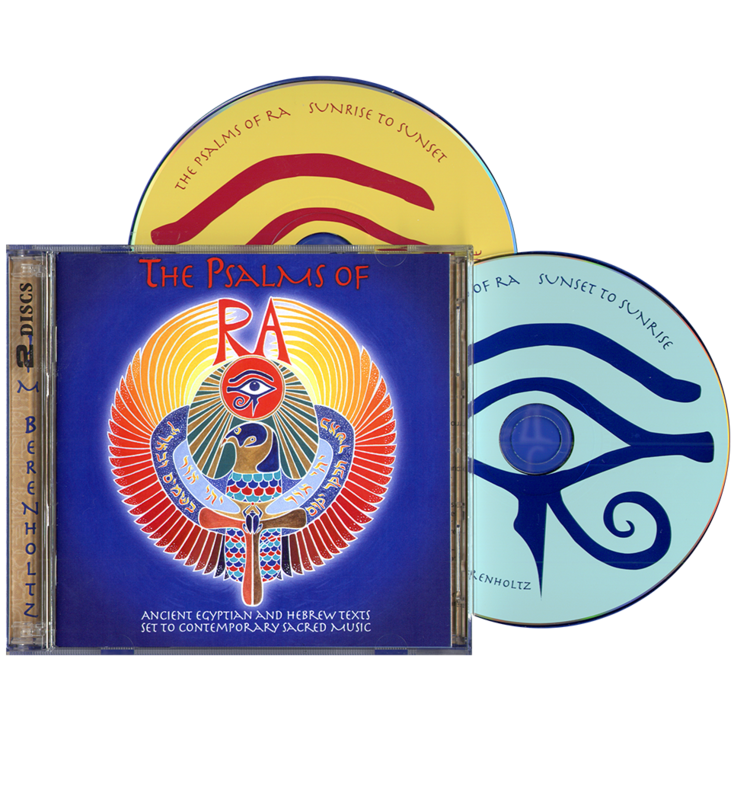 To order the ""Psalms of Ra" double CD"